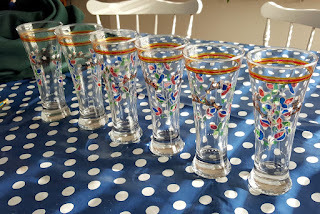 Since last weekend I am no more the baroness of Gotvik, and have passed on the glasses and cases that I made to the next baron and baroness. 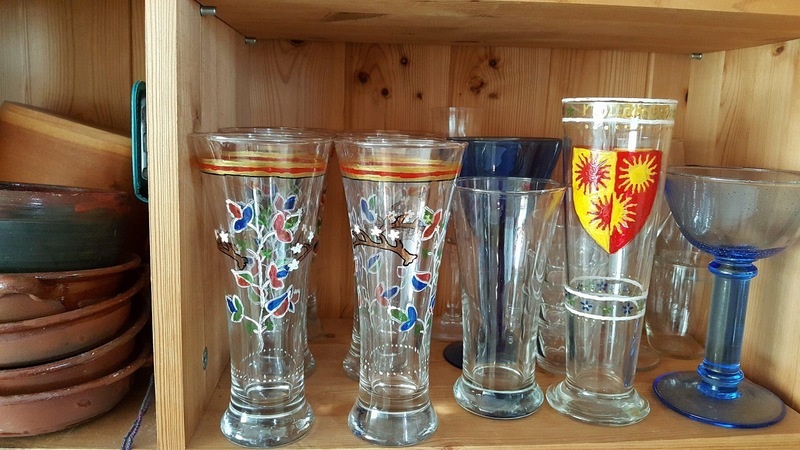 Of course I have replicas of historical glasses, but ever since I first saw them I have been fascinated by painted glasses from the Middle Ages and Renaissance. 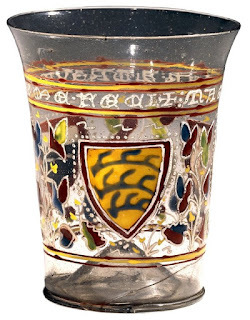 Especially the beaker shaped ones from the High Middle Ages, I wrote about them here, with a few pictures. 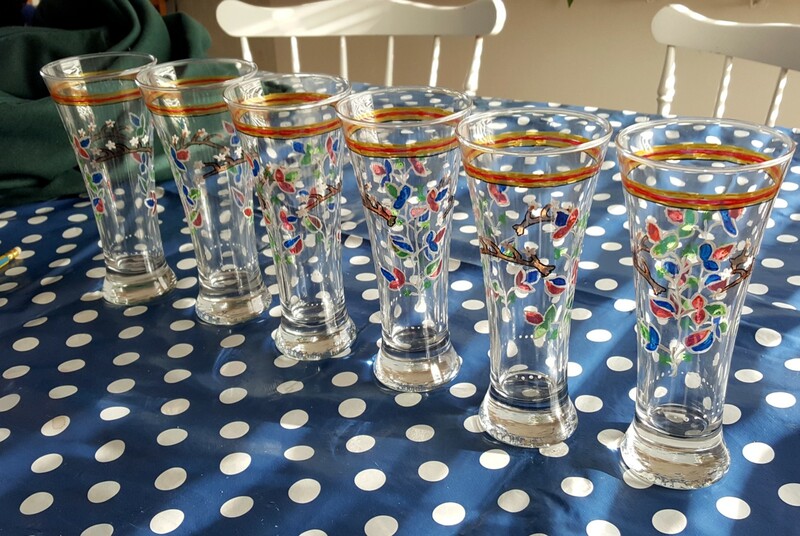 Unfortunately I haven't found anyone who makes plain beaker shaped historical glasses, they always have some kind of decoration. I am not sure if I would have dared to harden the paint in the oven with a historical replica either, but probably. Since I can't have historcial replicas to paint on I have had to make do with a substitute with reasonably the right shape: beer glasses. The upside to this is that they are very hard to break. And you can get them cheaply from 2nd hand shops. 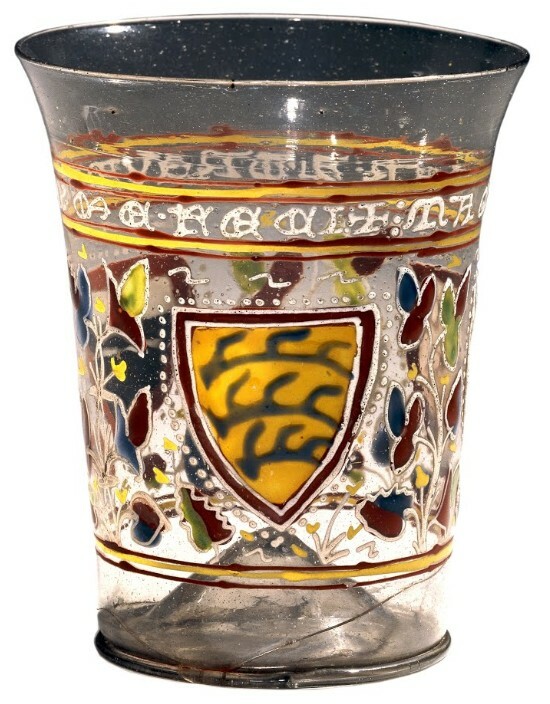 The motif is my badge, surrounded by flowers, which were taken from the Aldrevandini Beaker in British museum, made in Venice in the 1330s. 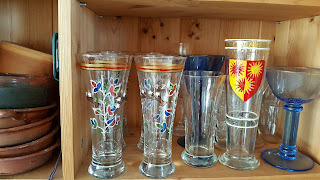 The arms of the Aldrevandini family also has antlers, which provided the basic shape for the ones on my glasses, which are my personal badge in the SCA. In the SCA you can register both your heraldic device/arms and one or more badges. 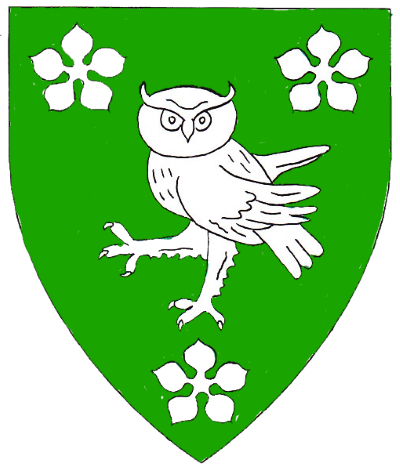 This is based on a period practice: Since arms were hereditary it was common among the nobility at least in the Later Middle Ages to also have some kind of badge which signified yourself, rather than your family In the SCA arms are personal so the distinction between the two is roughly that my arms say "here's Aleydis" and my badge say "I belong to Aleydis". Badges can be jointly owned too, so that they signify for instance a household, and while my badge technically is registered to me only it can be used by any member of my family/household. My badge is a deer's antler with a white cinquefoil, that is a flower with five petals, om each tine. 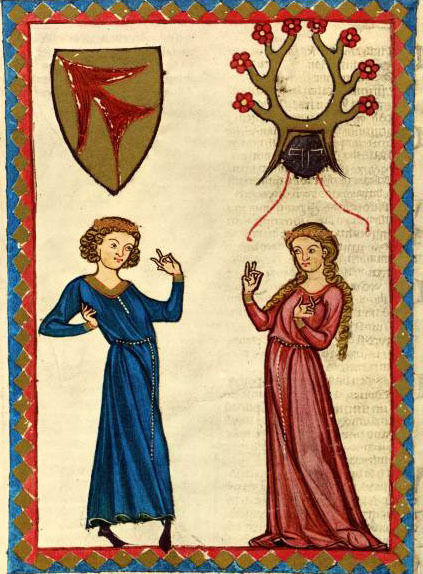 The flowers reflect my device, and I got inspired to put them on the tines of the antlers from this Codex Manesse image. Next step is to make box for all six glasses that will make it easy to bring them to events.